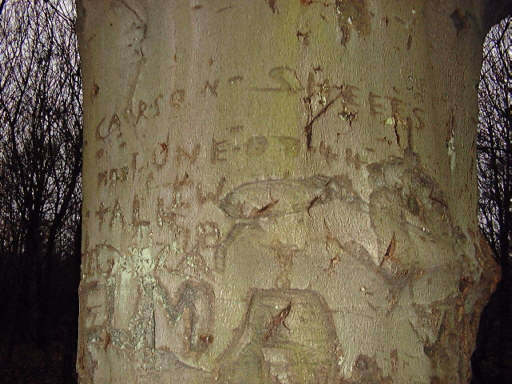 In woodland just south of the Site 5 location stands a tree bearing the name "CARSON SHEETS (SKEETS?) JUNE 44". It was found by Colin Gelson-Jackson whilst taking a walk in the area. Does anyone recognise the name? Thanks Colin for bringing it to the attention of the Association.